Area football fans and visitors to New York and New Jersey will have a unique opportunity to welcome Super Bowl XLVIII to the region, as the NY/NJ Super Bowl Host Committee in partnership with Macy’s will produce the “Super Bowl Kickoff Spectacular,” a free, ticketed event featuring performances by Daughtry and Goo Goo Dolls, with additional acts to be announced, and a first-class Macy’s Fireworks show. The kickoff event, the first to ever be associated with a Super Bowl, will take place on Monday, Jan. 27, along the Hudson River at Liberty State Park in Jersey City, New Jersey, and serve as the official launch to the weeklong events. Hosted by Fox Sports’ Joe Buck and Erin Andrews, with special correspondent Platinum Recording Artist and Actress Jordin Sparks, portions of the “Super Bowl Kickoff Spectacular Starring Macy’s Fireworks” will air nationally on Monday, Jan. 27 from 8–9 p.m. ET, on FOX Sports 1 (check local listings). The show will repeat at 2- 3 a.m. ET on FS1. During the show, Sparks will report from Macy’s Herald Square and contribute with Super Bowl food and fashion segments. The live concert event at Liberty State Park will begin at 7:30 p.m.
“As momentum builds for Super Bowl XLVIII, and all eyes turn to New York and New Jersey, the ‘Super Bowl Kickoff Spectacular’ will serve as a rally for the incredible residents of and visitors to the region,” said Jonathan Tisch, Co-Chairman of the NY/NJ Super Bowl Host Committee. “We are excited to hold this event for our region’s fans, allowing them to be a part of the celebratory fanfare that will drive momentum for the continuation of the week as we welcome the world to New Jersey and New York. Ending the evening with a big bang, the world-famous Macy’s Fireworks will set the sky ablaze with an unparalleled display of pyrotechnic firepower. Expertly choreographed to an energetic soundtrack featuring songs from top music stars including Bruce Springsteen, Alicia Keys, Bon Jovi, Bruno Mars, Lady GaGa and more; the 13-minute spectacle will be fired from two barges on the Hudson River off the shores of Liberty State Park. 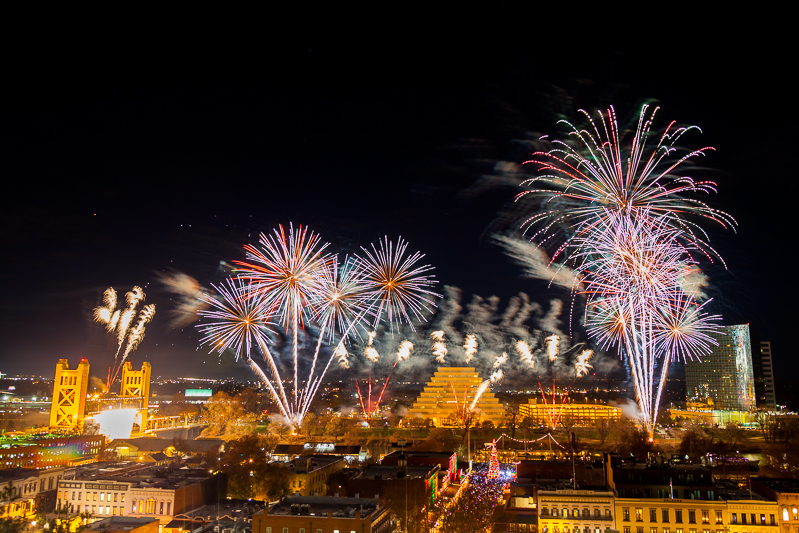 The fireworks display will feature Macy’s signature high-flying multi-level explosions reaching heights of 1,000-feet, making the spectacle visible to spectators in the surrounding area. Limited quantities of free general admission tickets are available to the public beginning today via www.SBKickoffSpectacular.com. Tickets are required in order to access the space and prime viewing of Macy’s Fireworks at Liberty State Park. Additionally, a VIP opportunity is available for fans wishing to enjoy a pre-concert experience. The “Host Committee NJ Warming Lodge” at Maritime Parc Restaurant will offer a pre-concert experience including comfort food, soft drinks and hot beverages. The VIP ticket available for $40 includes a reserved viewing location for the concert and Macy’s Fireworks. For fans traveling by car, free limited parking will be available (an advance parking pass is required and available on the website). Event organizers suggest public transportation and request that spectators refrain from bringing large bags, backpacks, strollers, liquids, or coolers. All bags are subject to search. Multi-platinum recording artist Daughtry has scored four No. 1 hits, garnered four Grammy nominations, won four American Music Awards, sold over 7.5 million albums, 17 million singles worldwide and sold out concerts around the world. Daughtry’s self-titled debut was the fastest selling rock debut in Soundscan history and its follow up, “Leave This Town,” marked the quintet’s second consecutive No. 1 album and Daughtry’s third album, “Break The Spell” was certified gold in four weeks of its release. Daughtry’s new album “Baptized” was released on Nov. 19 and its lead single “Waiting For Superman” a bona fide hit continues to race up the Hot AC and Pop radio charts. The band is gearing up for a world tour starting in March with show all over Europe and United Kingdom then the United States beginning in late spring. In addition to recording and touring the globe, Daughtry is also dedicated to using its position to raise awareness about a number of charitable causes including an ambassadorship with DC Comics We Can Be Heroes campaign. Multi-platinum, Grammy-nominated Goo Goo Dolls recently released their 10th studio album, Magnetic. The album debuted at No. 8 on the Billboard Top 200 Chart, and their new single, “Come To Me,” is climbing the radio charts and is currently in the Top 20. Goo Goo Dolls have sold over 10 million albums worldwide, with 14 Top 10 Radio hits — more than any other artist in the history of the Hot AC format. They are the only artist to have three songs on Billboard’s “Top 100 Songs from 1992-2012” including the Number One slot for “Iris.” John Rzeznik has been honored with the Songwriters Hall of Fame Hal David Starlight Award and they have been inducted into Guitar Center’s Historic Hollywood Rock Walk. The band has relentlessly toured since the album’s release, and will continue to do so in 2014. Conceived and produced by the NY/NJ Super Bowl Host Committee, the event will be produced in conjunction with Macy’s Parade & Entertainment Group by IMG Productions, Steve Mayer, Executive Producer. 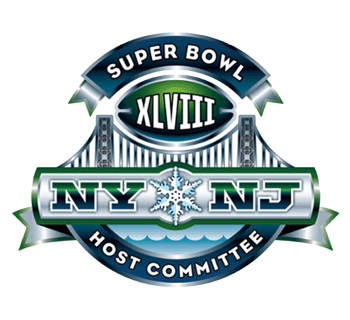 The NY/NJ Super Bowl Host Committee is the entity created by the owners of the New York Football Giants and the New York Jets to raise the necessary funds and partner with the NFL to plan and stage Super Bowl XLVIII and all of its associated events. The Host Committee also works closely with area business leaders and public officials to coordinate key logistics and maximize the game’s positive economic impact for the region. Additionally, in an effort to give back to the surrounding region, the Host Committee supports an active roster of charitable initiatives, largely conducted through the work of the Snowflake Youth Foundation, including the rehabilitation of after-school centers, support for the Super Community Blood Drives, and various environmental works. As President and Chief Executive Officer, Alfred F. Kelly, Jr. oversees all host activities leading up to Super Bowl XLVIII, which will be history’s first outdoor, cold-weather Super Bowl. Super Bowl XLVIII will be held on February 2, 2014, at MetLife Stadium, the home of both the New York Football Giants and the New York Jets. Macy’s (NYSE:M), the largest retail brand of Macy’s, Inc., delivers fashion and affordable luxury to customers at approximately 800 locations in 45 states, the District of Columbia, Puerto Rico and Guam, as well as to customers in the U.S. and more than 100 international destinations through its leading online store at macys.com. Via its stores, e-commerce site, mobile and social platforms, Macy’s offers distinctive assortments including the most desired family of exclusive and fashion brands for him, her and home. Macy’s is known for such epic events as Macy’s 4th of July Fireworks(R) and the Macy’s Thanksgiving Day Parade(R), as well as spectacular fashion shows, culinary events, flower shows and celebrity appearances. Macy’s flagship stores — including Herald Square in New York City, Union Square in San Francisco, State Street in Chicago, Dadeland in Miami and South Coast Plaza in southern California — are known internationally and are leading destinations for visitors. Building on a more than 150-year tradition, and with the collective support of customers, employees and Macy’s Foundation, Macy’s helps strengthen communities by supporting local and national charities giving more than $70 million each year to help make a difference in the lives of our customers. For Macy’s media materials, images and contacts, please visit our online pressroom at www.macys.com/pressroom.